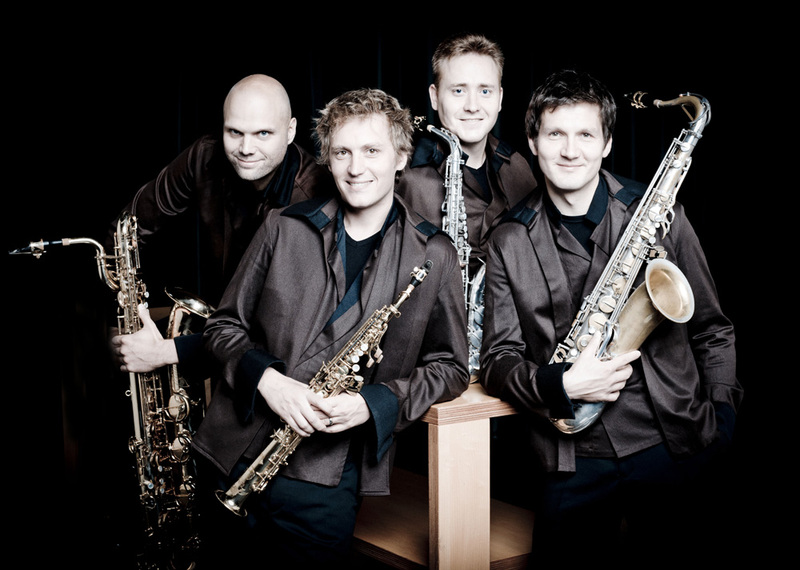 ‘The most colourful saxophone quartet in the world’, that is the Amstel Quartet. Old music, new music, popular music, world music , anything goes with Remco Jak, Olivier Sliepen, Bas Apswoude and Ties Mellema. On one condition: the music played by the Amstel Quartet is good music, gripping music, brought in a way which complements, enriches and clarifies the music. Technical limitations do not exist and musical boundaries are only there to be crossed. This has earned the foursome a host of admirers all over the world. Not surprisingly; a performance by the Amstel Quartet is like a pop concert. Full of energy, sincere contact with the audience and the music is always exciting and moving. 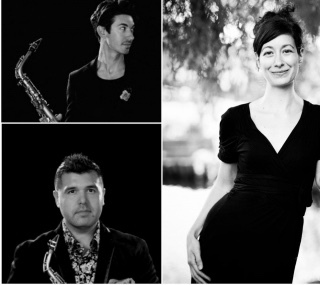 The Amstel Quartet’s programmes are always surprising, uplifting, educational, innovative and swinging. Of course, the saxophone is a young instrument and the saxophone quartet is mainly an ensemble of the twentieth and twenty first century, but Bach would take his hat off to the Amstel Quartet, if he heard them play his work. That is, after all, what modern day composers such as György Ligeti, Philip Glass, Michael Nyman, Peteris Vasks and Arvo Pärt have done. And it is not for nothing that artists from other disciplines, or even from other cultures, enjoy working with the quartet. Dance, mime, theatre, film, an Indian Tabla player, it is all possible, as long as it does justice to the music played by the quartet. The strength of the Amstel Quartet lies in the individual class which, brought together, produces a class far beyond that. The foursome found each other in 1997 after a tour with the National Youth Orchestra and from that first encounter sprung a rapidly streaming river. Virtuosity, breaking new ground, and an unheard of perseverance have since become key words. Baritone saxophonist Ties Mellema made a full comeback after a serious accident involving his right hand and he even won the Dutch Music Prize in 2010. The Amstel Quartet as a whole, also wins awards regularly. The Concert Artists Guild Management Award, The Kersjes Prize, the Gaudeamus Interpreters Concours, to name but a few achievements which form the indicators for the international recognition the quartet receives. This is why the four men continue to express their love for the saxophone and the unique versatility of the saxophone quartet as a perfect unity, with original CDs, a scintillating series in the Amsterdam Felix Meritis, performances in beautiful halls such as the Concertgebouw Amsterdam, the Philharmonie in Luxemburg, Carnegie Hall in New York and extensive tours through Europe, Russia, the Middle East, China, Japan and the United States.